Kybrooke Pet Resort, is the ultimate bushland retreat for pets. Kybrooke, more than just a dog kennels. 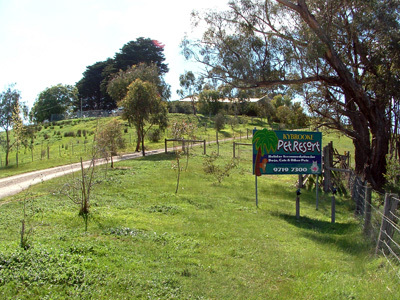 We are a leisurely 12 minutes drive from Eltham, Diamond Creek & Warrandyte. Once you are in Panton Hill, you pass the Panton Hill Pub on your left, we are exactly 2km past the Pub on the left. Please look our for our sign. 35 minutes from the Melbourne Airport, which makes it very convenient to drop your pet in to Kybrooke before you make your way to the airport.